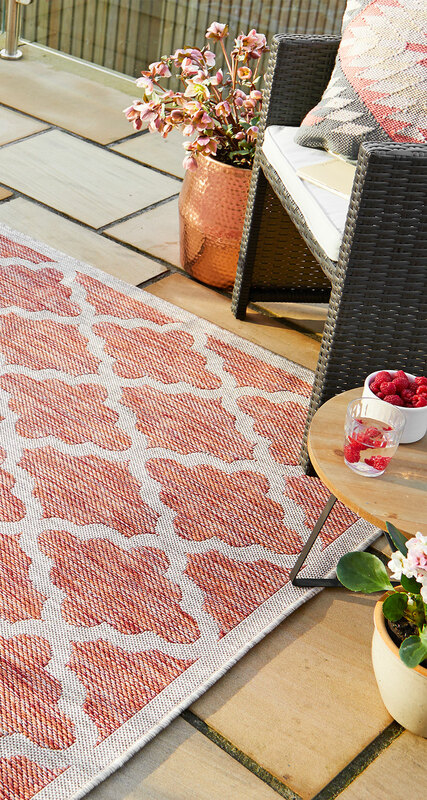 With barbeque season right around the corner it’s the perfect time to start thinking about your outdoor space, and more importantly: outdoor rugs. This growing trend is commonplace in aspirational blogs and social media feeds, so it’s important to get ahead of this movement before your neighbours do! Exterior design can be challenging, and an outdoor rug is perfect for turning your open space into somewhere you want to hang out, and maybe even your new favourite room. Bold, tessellating shapes and soft curves can be used to compliment the unpredictable design of nature, making it the perfect conversation-piece for any garden. Stand-out geometric patterns mixed up with earthy tones and a bright hue can separate and draw attention to the area of your outdoor space that you want to focus on, whether it be a dining area or a place for the little ones to play. Their adaptability is perfect for letting your well-designed interior spill out into your garden. 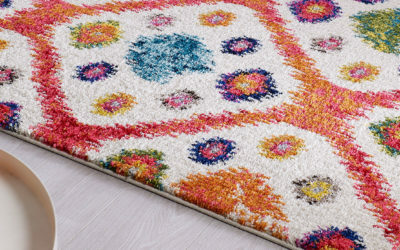 Most outdoor rugs are made from a polypropylene material making them perfect for use outdoors, this material makes them perfectly weather resistant to the basic elements meaning you don’t have to lug them in and out every time you need them (but you’ll probably want to roll them away if it starts to snow). Their enhanced durability makes them perfect for a big social barbeque or a sunny playdate, and even better for protecting your patio and decking from chair and table legs. Muddy garden playdates and sociable drinks spilling would normally be a nightmare for your typical rug owner, however another quality of the propylene material of outdoor rugs is that they’re super easy to clean and care for. Spillages and crumbs from last night’s barbeque can be easily rinsed off; their water-resistant designs mean that they’re perfect for a gentle hose down when all the rough and tumble of summer life is finished. 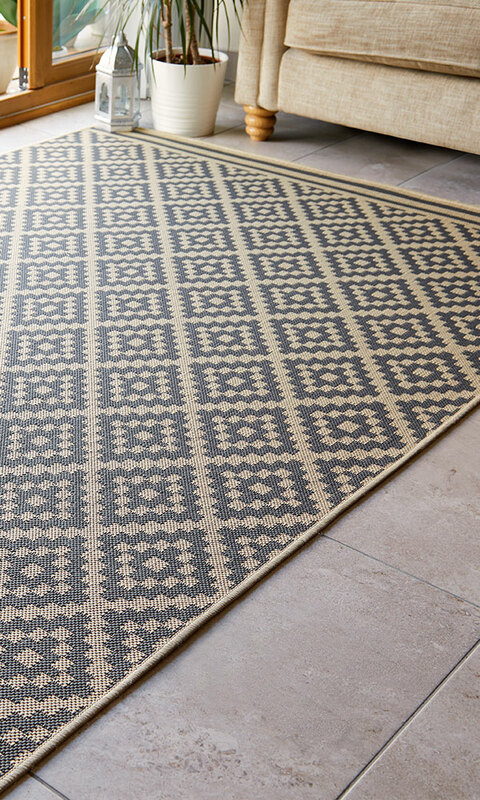 Durability isn’t just important for a garden, an outdoor rug can work just as well indoors, hard-wearing yarns make these perfect for use indoors, particularly in areas with lots of footfall, like the kitchen, or hallway. 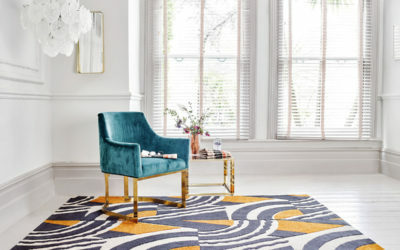 By using an outdoor rug inside your home, you can get all the aesthetic merits of a regular rug but with the functionality of an outdoor rug which is perfect for those on-the-go, busy family homes. 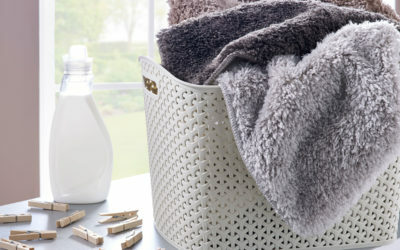 Accidental spillages, food crumbs and muddy paws are a fact of life for many homes, which would make the easy-cleaning aspect of an outdoor rug perfect for indoor use, with many owners known for hosing their indoor-outdoor rugs down in the garden. Moretti, Padua and Trieste are the latest flat-woven recruits to join our indoor and outdoor Florence Alfresco range, pairing a hard-wearing material with contemporary geometric designs and a style-conscious palette, perfect for the garden or any other busy room of the house. 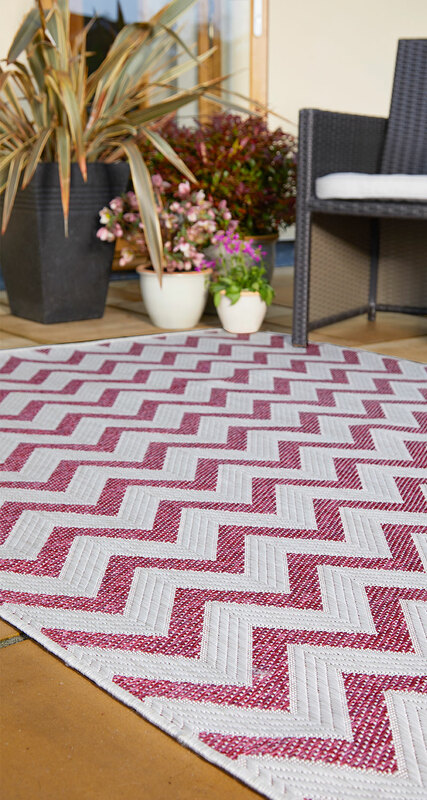 Ideal for summery lifestyles, the 100% Polypropylene yarn gives each rug enhanced durability against the basic elements, garden furniture and heavy footfall, all while protecting your patio or indoor flooring.